Fried chicken lovers rejoice! 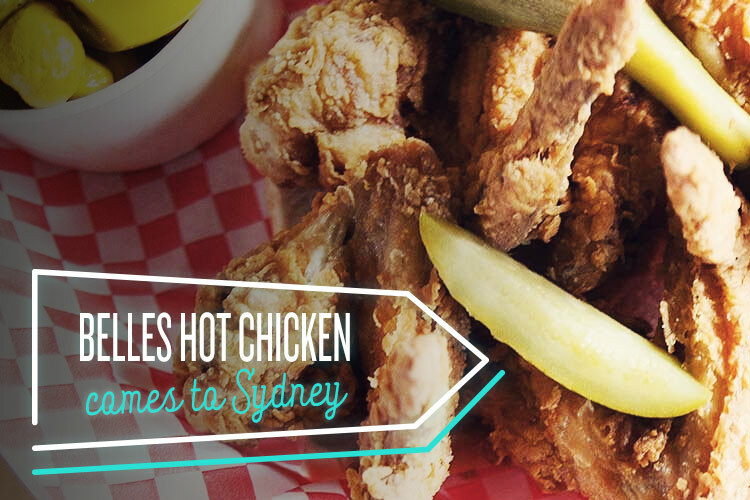 Melburnian spice gods and southern-style chicken stalwarts Belles Hot Chicken are setting up shop in Sydney. After hugely successful pop-up outings at Hotel Harry in Surry Hills and Bondi’s Icebergs, the purveyors of traditional Tennessee spicy fried chicken will be calling Barangaroo home for the next nine months. Opening on November 25, you’ll be able to hunt down Melbourne’s best mouth-tingling dirty bird at the Wulugul Pop Up. Co-owner, head chef, and Sydney native, Morgan McGlone, is already anticipating that demand will be off the charts, restricting the kitchen to serving only drumstick meat – apparently the fastest cooking cut – during the day to deal with the lunchtime rush at Barangaroo. If you’re more of a breast aficionado, don’t fret. Belles will be open late, not closing until 10pm Monday through Thursday, 11pm on Friday and Saturday, and 6pm on Sundays (even renowned poultry preparers need their downtime we suppose). Don’t head over looking for a cold one to wash down that fiery fried chicken though. For those of you who fancy a bevvie, they will be serving up a delectable range of cold beverages, including a traditional Deep South sweet iced tea served with a garnish of lemon and mint for extra refreshment. Keeping with the sweet iced tea trend they’ll also be offering a small-batch kombucha for those who prefer their tea with microbes and all. With crowd-pleasing, critically-acclaimed chicken and an awesome array of cold drinks, we’re predicting Belles may well be the hit of the Sydney summer. Most exciting of all though is the potential that, if this pop-up goes well, we’ll get our very own permanent Belles in Sydney.